The digital transformation revolution has utterly changed the technology landscape for enterprise and small to medium enterprise (SME) alike. While the larger organisation has been able to cut costs and move infrastructure into the cloud, saving hefty amounts on hardware and IT investment, the SME has been able to tap into the accessibility and ubiquity of cloud to gain advantages that were previously far too expensive. Today, anyone can climb on board the as-a-Service train, the fees are reasonable and the software buffet ever expanding. “When it comes to technology, the SME has always been hamstrung by cost,” says Henk Olivier, MD, Ozone Information Technology Solutions. “The sheer scale of the hardware, the mammoth admin of the software and the long-term commitment from IT staff have limited how deeply the SME can go down the rabbit hole. The as-a-Service concept isn’t new, but the variety of solutions that are being added to the pile definitely are. 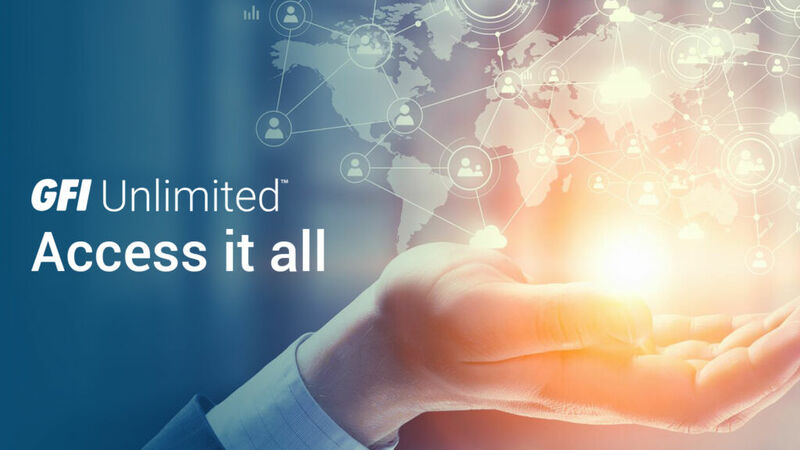 For those who are looking for reliable, scalable and adaptable network security and communications systems, GFI Unlimited has introduced a single subscription to all the software the business needs in one place. It’s the skeleton key to the software closet that’s packed with a fat catalogue of tech and free technical support. One subscription provides anyone with access to solutions such as GFI LanGuard, GFI MailEssentials, GFI Archiver, Kerio Control, Kerio Connect and more. The SME has to juggle numerous challenges in South Africa. Complexities and legalities that wrap the business in enough red tape to drown a city, and the mercurial markets and economy place the business under relentless pressure. These cannot be solved with the perfect software solution, no, but the right software investment can take the other headaches that impact on productivity and efficiency away. It’s Panado for the SME.